Here we are in the second month of 2015 and I am amazed at how quickly it is going already. When reminiscing on New Year’s Eve with my extended family I realized this year marks FIVE years since I published my first novel Unexpected! I can’t believe it. I feel like I’ve only just started this journey but looking back at the books since Unexpected I know it’s been a heck of a ride. And it is FAR from over. 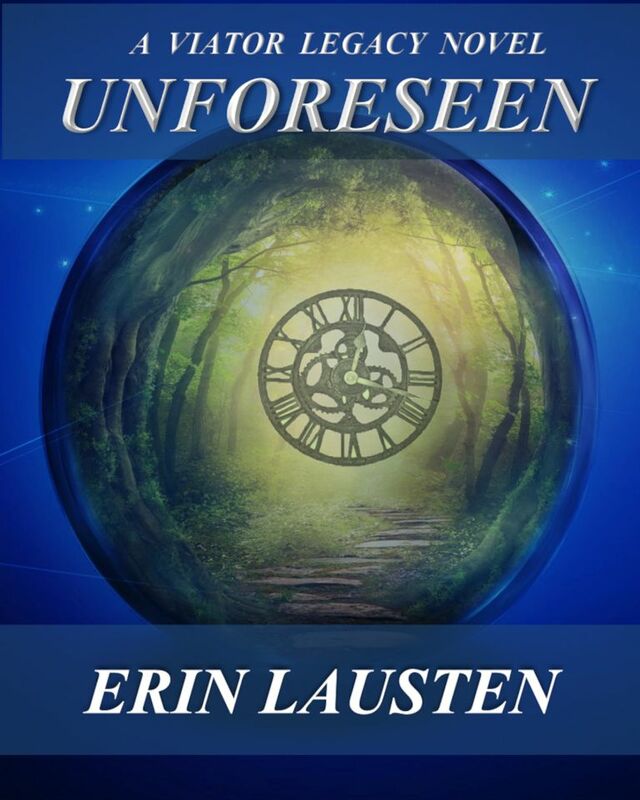 To celebrate I am offering Unforeseen (Book 2 – Viator Legacy) for $0.99 from February 2nd until March 17th on Smashwords and Amazon! I love Grace and would like more folks to meet her. Lucius isn’t too bad either. Let’s get ready for more adventures with Deadbeat coming out very soon and Unrepentant (Book 3 – Viator Legacy) coming out later this year. This wild ride just keeps on going. Now what has me super excited is not only am I telling the world Amie exists, but I am also releasing her (my) first book. It’s a novella, it’s hot and just in time for Christmas. Before you ask, it is titled Cabin Fever. Oh yeh, did I say hot? Yum. In addition to this first book, I will have two more out before Christmas. So if a heat-filled romance is something you like, check out Amie Archer’s blog and like her on Facebook! Wait… did I say I have three books for Amie, and two for Erin coming out before Christmas? Yes, yes I did say that. No I am not a mutant (though you could say some of my characters are… Viators maybe? Hmmm), but I do have that many books to release. I just happen to have a backlog which is finally getting cleaned out. How am I handling all this insanity? Well, I can say I’m just a little nutty. Not the normal nutty, but a more frazzled, excitable, happy nutty. I couldn’t do this without a huge support staff. Well, not huge, but the help and support these key players provide is HUGE. Consider yourself warned that you will see a flurry of madness over the next couple of months and then we’ll be back on track. After the madness I’ll be working on a new project. A super-secret project ….ok, I can’t keep secrets. It’s about vampires…and werewolves… and fairies… and centaurs…and Chihuahuas… um, yeh, I said Chihuahuas. It’s going be a blast. It will be MY fun take on the supernatural genre. So, keep watching—things are about to get Verrrry interesting. I promised, and promised, and promised… Finally, it’s happening! Book Two of the Viator series is on its way. Unforeseen follows the story of Grace and Lucius as they discover the depth of the conspiracy facing their peoples and confront threats that just might hit a little closer to home than anyone expected. The E-book will be available November 20th at top online bookstores and watch for the Print book to be released by the first week in December. I’ll have links available on this blog and my website at http://erinlausten.com as soon as the books are available. “You say that a lot. I am not certain what you mean,” Grace said. “I say what?” Hailey said. “Well. It can mean just about anything. Mostly a feeling. For instance, let’s say you said something I wasn’t expecting. I would say ‘Dude’,” the word came out short and changed in pitch toward the end. “But if you said something I didn’t agree with I would say ‘Dude’.” This time the word was said low and long. Both girls fell into a fit of giggles. Grace hadn’t had this much fun in…well, ever.